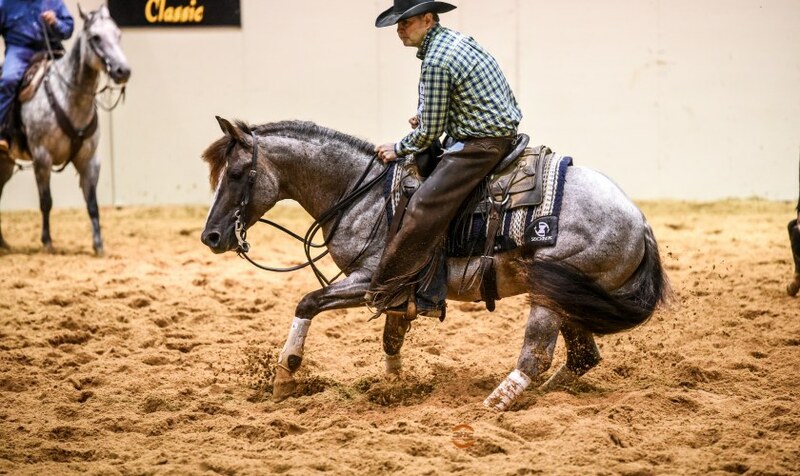 Sweat Son and Equi-Stat Elite $8 Million Rider Lloyd Cox continued to get things done at the PCCHA Futurity in the Derby ranks with the Open Championship. The victory for Cox, of Marietta, Oklahoma, and the 2013 stallion (Metallic Cat x Travalen Miss Mosa x Travalena) comes on the heels of their recent Cotton Stakes Derby Open Championship. Their score of 221.5 was good for a $16,000 paycheck. Bred by Randy and Jenny Free, of Plano, Texas, Sweat Son has now won more than $50,000 for owner NW VandeSteeg, of Hailey, Idaho.